Your online source for the finest enriched Gem Dirt, mining kits & accessories, rough and cut Gemstones, Jewelry, crystals, and minerals. At Gem Mine Online we take great pride and honor in providing our customers with the highest quality, finest gemstones from around the world. 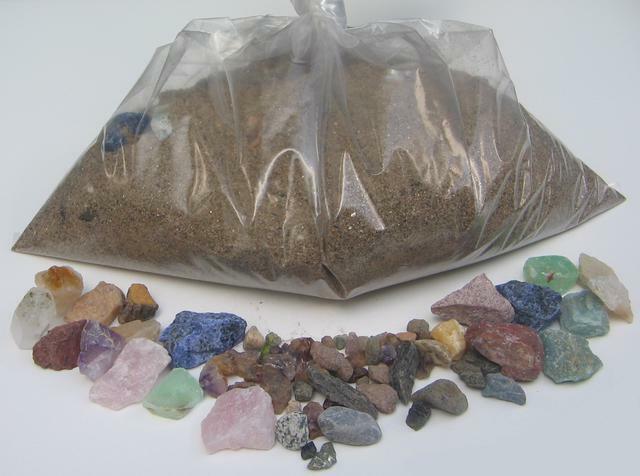 Visit our store and discover gemstone enriched Gem Dirt in bags in various sizes and flavors, gem mining kits, gem mining accessories, Jewelry, and more! Our products are perfect gifts for children and adults alike. From novices to seasoned "Rockhounds" everyone will find our products deliver the highest grade gemstones and most satisfaction for your buck! Every Rainbow bag, Rockhound Rainbow bag, and Rainbow Jumbo Bucket, and Master Rockhound Bucket will include a FREE cut gemstone!!! Rockhound Specialty bags in Rainbow, Emerald, Opal, and Ruby & Sapphire flavors. Rockhound Gem Mining kits (available in all Rockhound Specialty flavors). Every bag of Rainbow Gem Dirt will have at least one cuttable Gemstone in it. Our Rainbow bags have over 1 lb of Gemstones and/or Minerals. 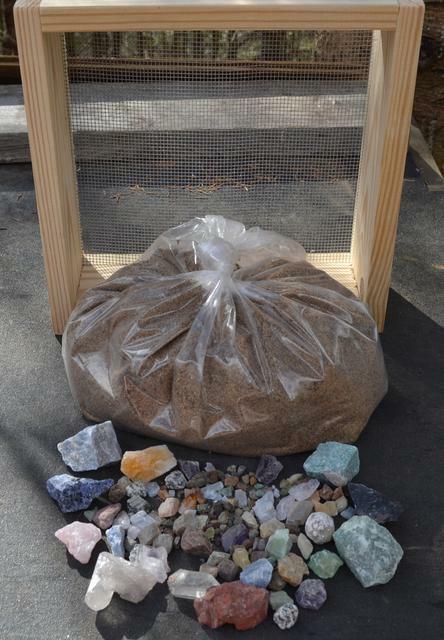 Our Rockhound Rainbow Gem Dirt bags have over 3 lbs of Gemstones and/or minerals in them. Our Rockhound Specialty Gem Dirt bags contain generous quantities of whatever particular flavor you choose (Emerald, Opal, or Ruby & Sapphire). Amazonite, Amethyst, Green & Blue Aventurine, Calcite, Citrine, Corundum (Ruby & Sapphire), Emerald, Garnet, Kyanite, Marble, Moonstone, Mica, Peridot, Pyrite, Quartz, Rooster Tail Jasper, Sodalite, Quartz Crystal Geodes, Desert Rose, Blue Angelite (Celestite), Labradorite, Tiger Eye, and Tourmaline. 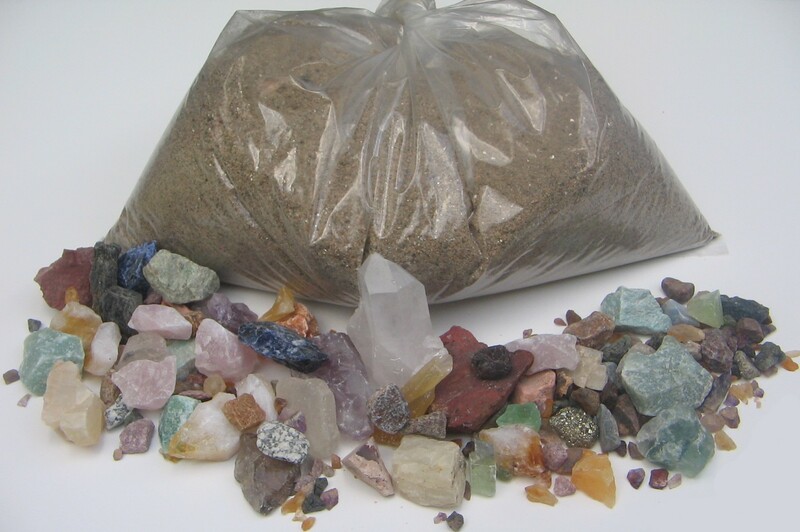 Our Rockhound Rainbow Specialty Gem Dirt bags contain the same as the Rainbow bags with larger pieces and greater quantities and may also include Opal, Topaz, Flourite, and Arrowheads. Our Rainbow Jumbo Buckets contain over 8 lbs of top quality rough Gemstones in larger and/or higher value pieces. 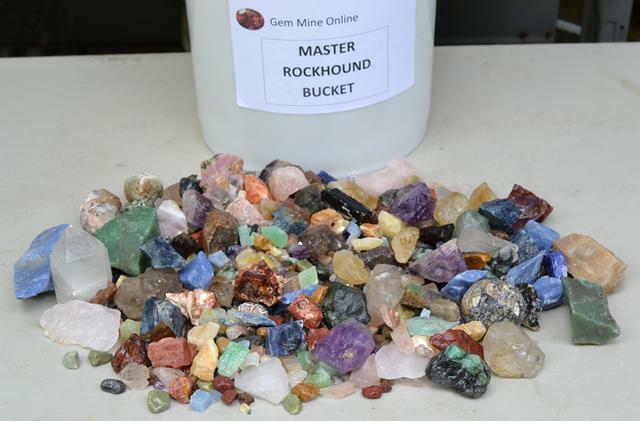 Our Master Rockhound Bucket has over 16 pounds of Gemstone and/or Minerals !!! 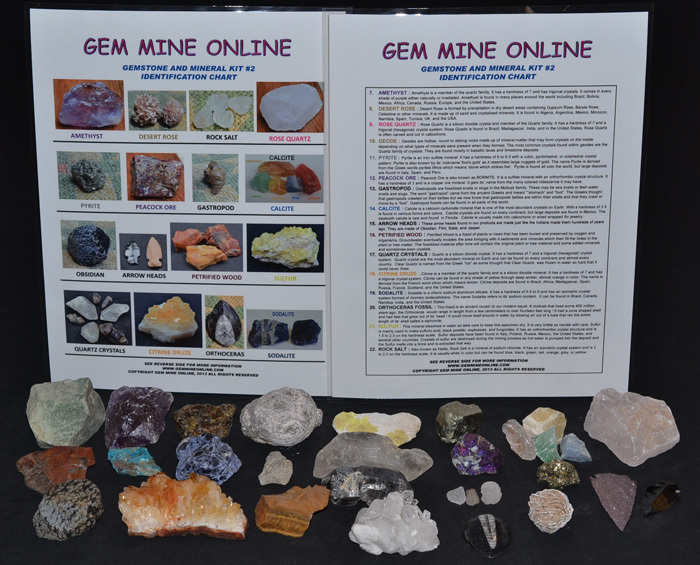 Gem Mine Online also offers discounts on packages to schools and institutions, private schools and home-schoolers. There will be minimum quantities for orders to qualify for discounts. Please email us with any questions regarding discounts. Ask us about custom made-to-order Gem Dirt bags for any occassion, and also about catering for birthdays and other events! What is a "Rockhound" ? First, you must have a basic curiosity. Second, buy yourself a sack of marbles. Then, everytime you pick up a rock, drop a marble. you are a ROCKHOUND ! 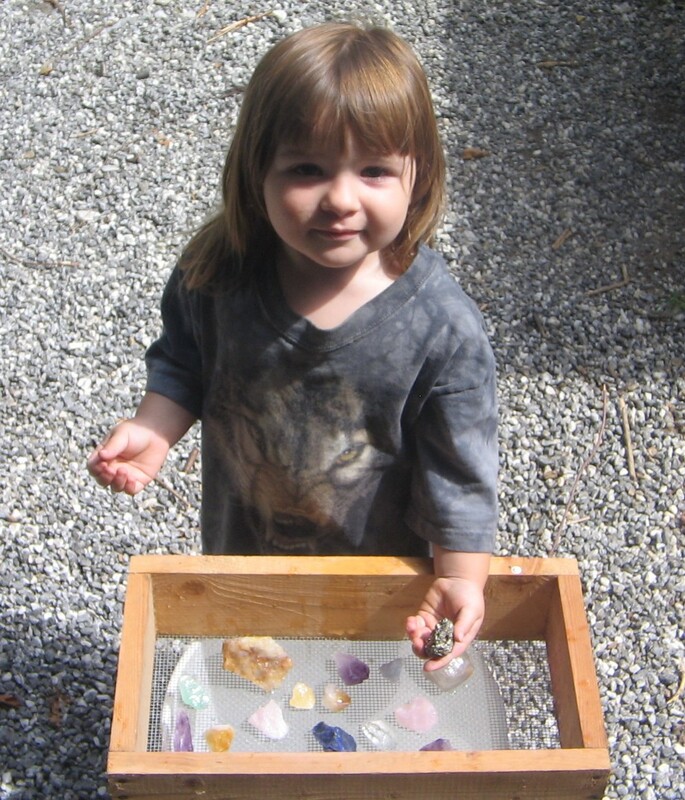 Young Rockhounds Kyle and Samantha enjoying a gem mining experience right in their backyard! 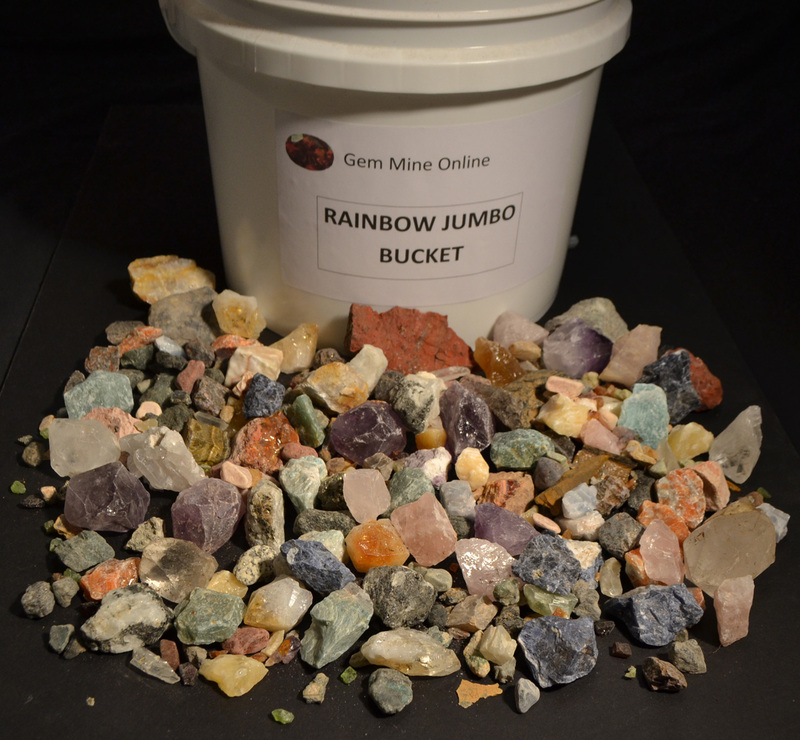 Rainbow Jumbo Bucket : 3.5 gallon bucket LOADED with over 8 lbs of top quality rough gemstones. Click here to add textGreetings ! 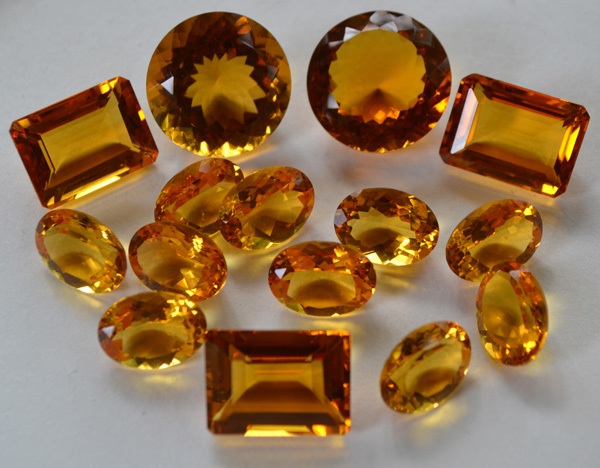 Visit our store for a large selection of faceted Citrine and Amethyst Gemstones ready to set into jewelery! Click the link below to go to our website or browse this page to learn more about us! We have added several new types of rough Gemstones to our Rainbow mix ! We have added BLUE AVENTURINE, ROOSTER TAIL JASPER, BLUE ANGELITE (CELESTITE), LABRADORITE, DESERT ROSE, TIGER EYE, and QUARTZ CRYSTAL GEODES!!! We now offer all sizes of RAINBOW MIX without the dirt, so you can save $$$$ on shipping !!! Please see details at our STORE. Just hit any of the "VISIT MY STORE" links to browse our ever-growing store! 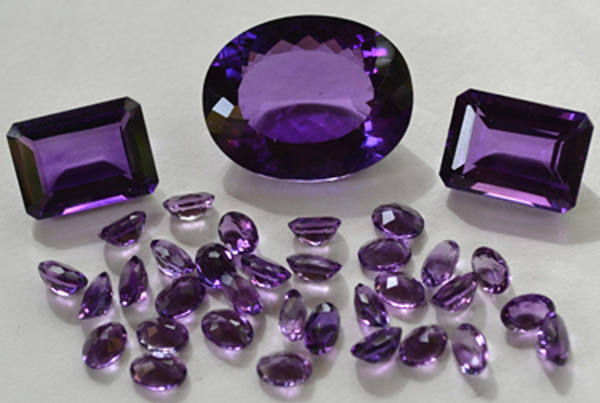 And don't forget to use our GEMSTONE ID page here on our website to help identify your stones! NEW !!! Master Rockhound Bucket ! !8 lbs of rough Gemstones ! See our store for pricing and details. NEW !!! Gemstone and Mineral Specimen Kits !!! Perfect for collecting or for educational tools. 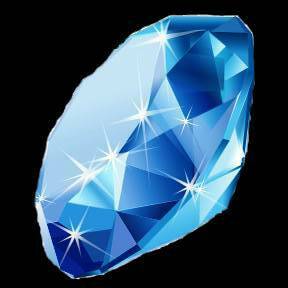 Rockhound Ridge Gem Mine is now OPEN ! 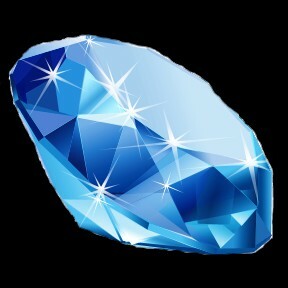 Click on "Our Gem Mine" page for more details.